Summer is a great time to have a party. Themed parties are especially fun. Many people like to do a Luau themed party. You can have a lot of fun with this and serve creative food. A variety of fruit would be appropriate to serve at a Luau. Pineapple, oranges, berries and melon would be delicious. You could even make fruit kabobs and grill them. Finger food vegetables with dip would make a great appetizer. 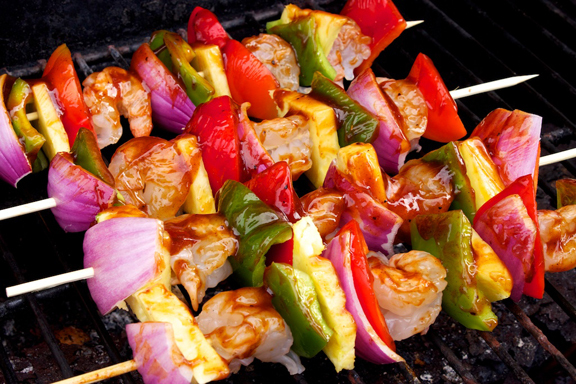 You could grill these instead if you want a different flavor. A Luau makes you think of a topical place, which makes you think of the ocean. Thinking of the ocean will make you think of seafood. You should definitely have seafood at a Luau. 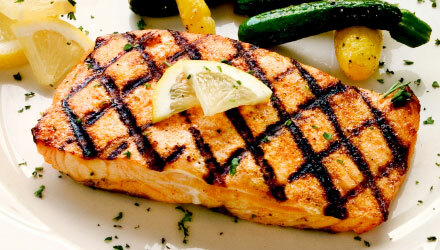 Grilled salmon brushed with butter and lemon is an excellent dish. Beef kabobs or crab legs would be delicious too.If you want to offer something in addition to seafood, barbecue pulled pork sandwiches would be a good choice. These are so simple too. Cooking the pork in a crockpot or a oven for a few hours first will make it tender and savory.Don’t forget tasty, refreshing drink options. A cocktail drink or something citrusy would be nice and cool.Add fun touches like little tiki umbrellas for the drinks and palm tree decor around the food table. Your guests will leave having enjoyed themselves and experienced a fun party.